Same kind of story. Heatwave, 35 plus degrees but didn’t seem as bad as Toowoomba for some reason. Maybe having the lake close by helped a bit, cooler air off the water? We did get a nice breeze from time to time too which was some relief. 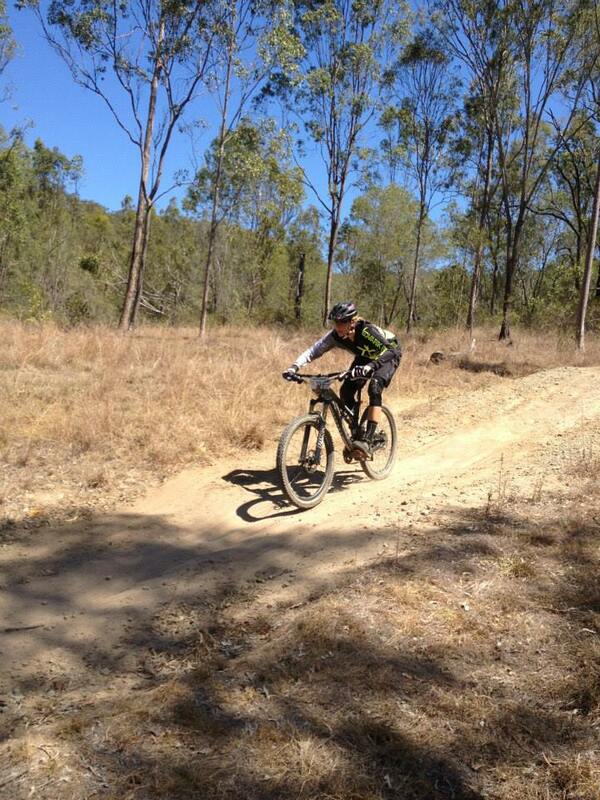 Either way, trails were dry, dusty, blown out and slidy. Made for some scary moments and also some good fun. It was a 4 stage Enduro and with just under 200 entrants, it was a choose your own adventure format. You could ride the stages in whichever order you’d like. This worked well as it alleviated line ups and you could ride with all your buddies, no matter what group they were in. Three of the stages were quite flowy and pedally with a few climbs and traverses in there. The last stage, which we saved for last, was a gnarly, rocky, loose downhill with jumps and off camber chutes. My fav. 198 riders ready to be cleared to start the first transition. Podium Lube photo. Chris just always seems to either nail it or blow something up. This time round, unfortunately, he rear flatted. Twice. First time was on the longest stage where it was luckily only a slow leak but he rode with a half inflated tire for most of it. Gruelling. I definitely would NOT want to do that. Anyways, he chucked a tube in and went up for the last stage, the “DH” stage. And a few corners in, rear flat. So crap!! He still managed to end up 10th and we are pretty confident that he could have walked away with it, had he been mechanical free. That’s ok. We know he is riding fast and these things happen. In retrospect, we were unable to find him a new rear tire before the event so he risked running his old one rather than running a different brand that he doesn’t like the feel of. And, unfortunately, the risk just didn’t pay off. Big congrats to Michael Ronning and Lindsay Klein for taking the shared(tied)win! Ronning and Chris were Intense teammates on the DH World Cup circuit back in the day. He’s a legend and still pins it big time. Lindsay’s been around for a while too, just a really versatile rider. Nice work guys. Chris leaning into a sandy berm near the end of Tunnel, the shortest stage of the day. Podium Lube photo. Look at that arm formation! 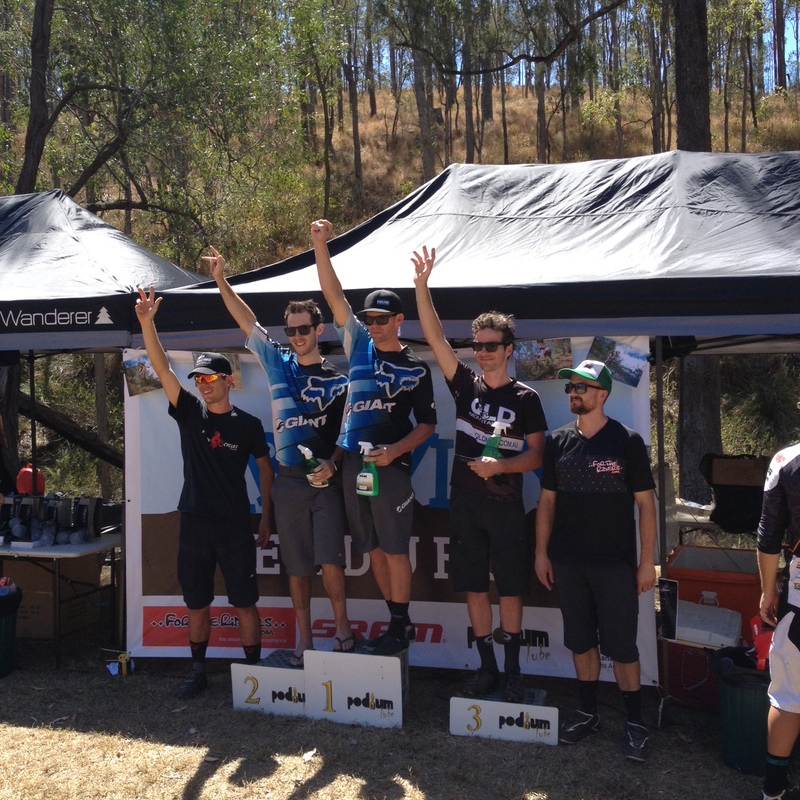 Elite mens podium. The terrain at Mt Joyce seemed to suit me better than Toowoomba. Although the first 3 stages were ridiculously hard. Drool much? Yup that was me, the drooling panting loser, want to take my photo? Thanks. Ha! So there were 3 girls in the Elite Women category this time round. A bit of an improvement, at least we would fill up the podium! It was a good mix of backgrounds: XC racer Kylie Maduna, 4X racer Sharsha Huntington and myself, DH. Cool that we can all come together and enjoy this Enduro format. Kylie is strong on the pedalling, she is a little speedy gonzales! It was interesting to see that we were very close on the 3 “pedally” stages, we actually tied one of them. Pretty crazy how that can happen as I am sure we are quite different riders. Sarsha had a bit of a rough day, a few crashes on multiple stages. Props to her, being a mom and all and probably not having a huge amount of time for herself. Hope you’re not too sore to lift your kid today my friend! Geeez. Although I held my own on the flatter stages, I definitely made up a huge stack of time on the DH stage. It was my favourite and confirmed how much I love downhill racing. Downhill racing isn’t physically easy as you have to go all out and risk and focus but you can still feel pretty rad on your bike. When I’m racing a pedally stage and I’m drooling down my chin and losing my form by the second, yeah, I don’t exactly feel like a rock star! But saying that, I enjoy the challenge. Claire landing the big table and grabbing the brakes to set up for the berm nearing the end of the DH stage. So much fun. Podium Lube photo. 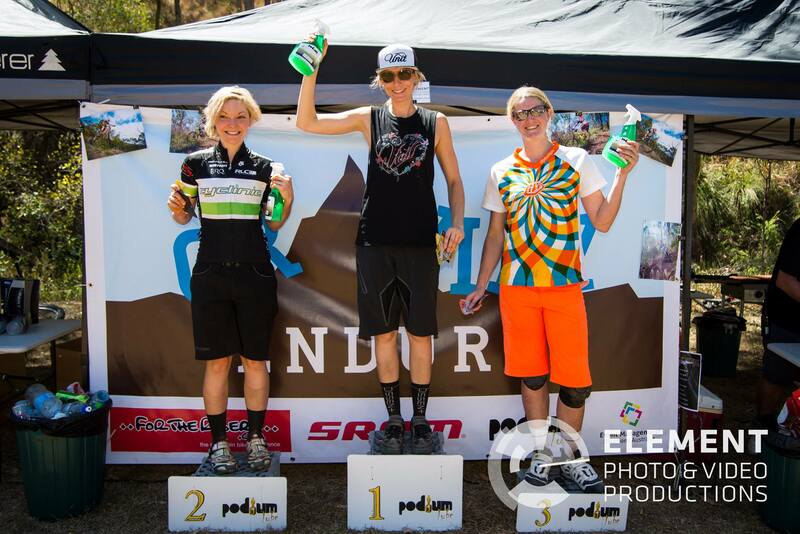 Holding up my podium Lube Biowash and a bit of cash on the Elite Women podium. Element Photo & Video Productions photo. Overall, another fun day of racing against the clock. Now we are turning our main attention to our DH bikes, in preparation for the World Cup in Cairns. 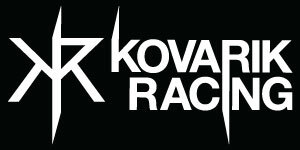 Thanks to For The Riders for the shade and to SEQ Gravity Enduro and Outlook Riders Alliance for a great event yesterday, we will be back! 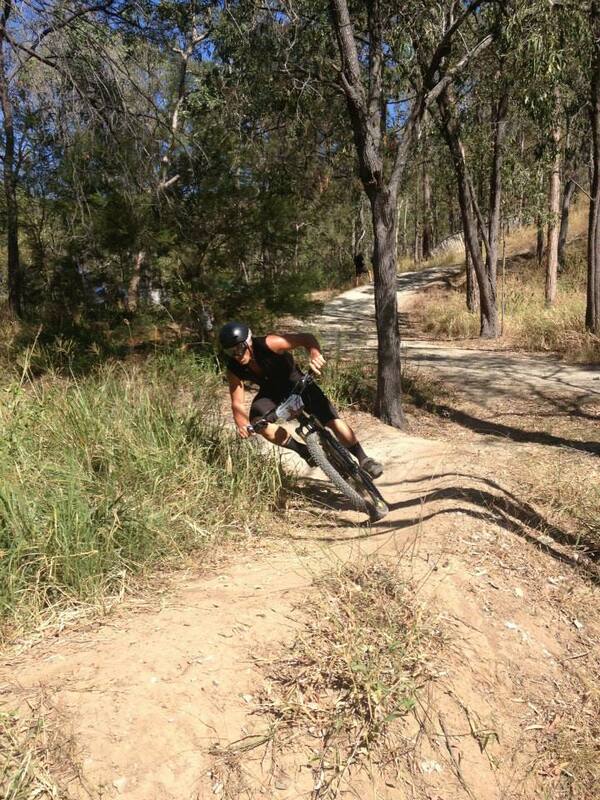 ← DH Skills Clinic at Beerburrum coming up!!! !